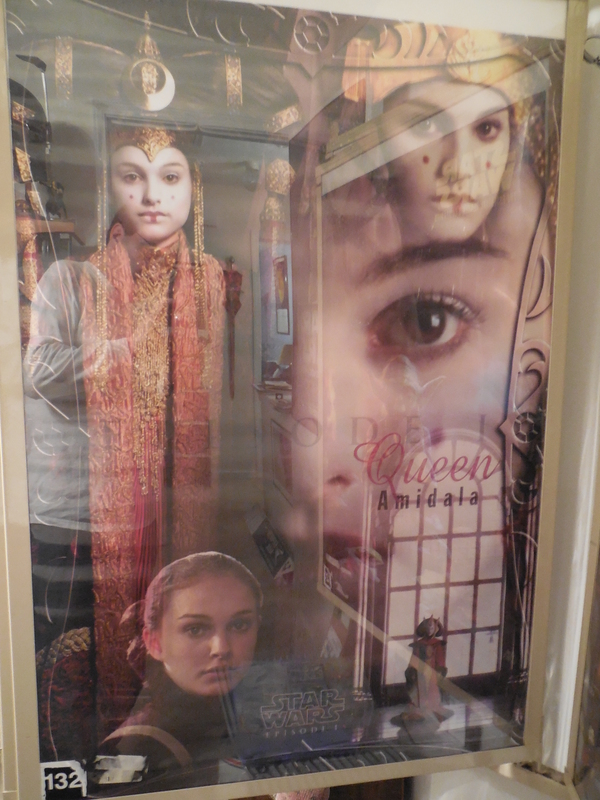 For Star Wars: The Phantom Menace, At-A-Glance distributed several posters. Some featured a character from the film–Darth Maul, Anakin Skywalker, Jar Jar Binks, Queen Amidala. Posters also included one each for Podracing and the Battle of Naboo. 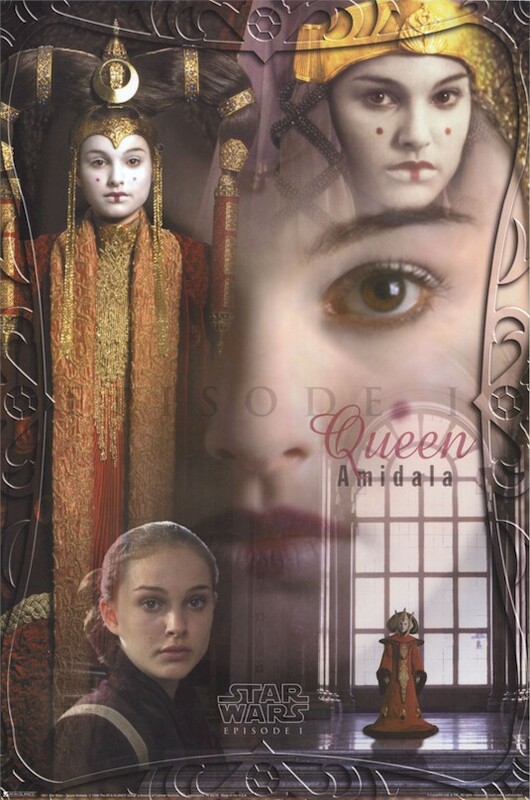 The Queen Amidala poster shows the queen in four outfits with a close-up of the Red Senate Gown dominating the right side. I am uncertain when and where I acquired this poster. I think it was well after 1999.